The greatest adventure in the history of Drakensang Online has begun! Bigpoint, one of the world’s leading developers and publishers of online games, has launched the largest expansion for their successful hack’n’slash MMORPG since the original release of the game. The add-on “Rise of Balor” brings many exciting quests to the world of Dracania. Travelling the dark jungles of the continent Lor’Tac, players explore 16 brand-new maps and battle one of the most powerful bosses, Balor himself. Bigpoint also announced that the game’s community now consists of more than 30 Million registered users, which makes Drakensang Online one of the most successful hack’n’slash titles in the world. Another new feature of the game enables certain types of monsters and bosses to use powers determined randomly from a list of possibilities. 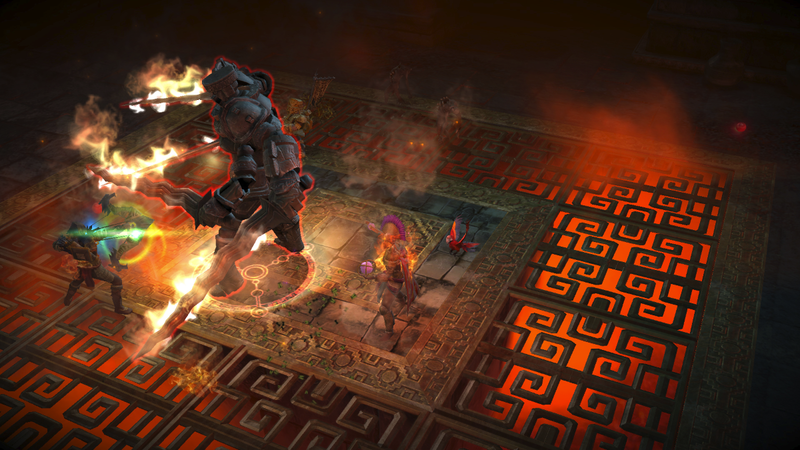 These powers range from poison, cold attacks, fire attacks, and casting buffs on other monsters nearby. Because high-level players often visit maps multiple times, these random enchantments allow monsters to behave in new and unpredictable ways. This leads to an increased replay value and more long-term motivation for advanced heroes. New challenging quests, monsters and bosses, among them a living, breathing dragon!